Relief with engraving on white TGL handmade, hand-colored paper. Inscribed "A.P. VII" in the lower right of the image; aside from the edition of 30. 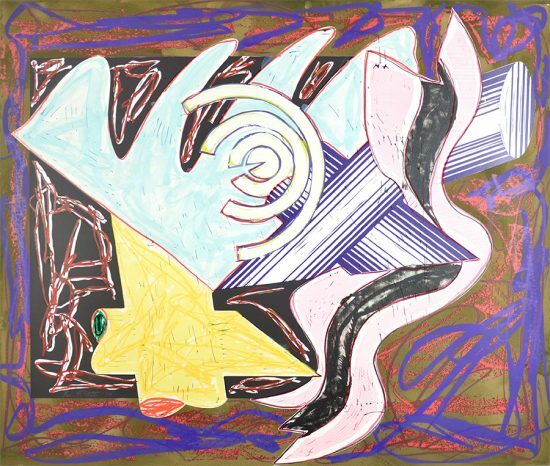 This work is hand-signed and dated by Frank Stella (Massachusetts,1936 - ) in pencil in the lower right. 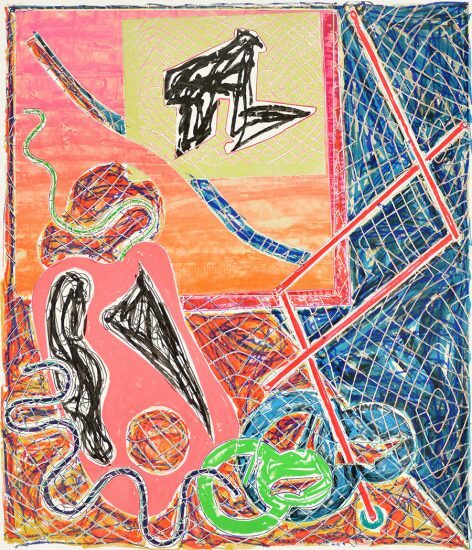 Frank Stella Estoril Five II (from the Circuits series,) 1982 is a gorgeously rich composition of warm pinks and vibrating oranges, weaved in with saturated green, purple, and pink. 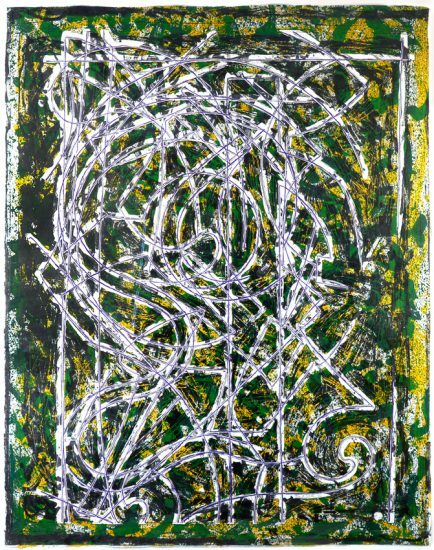 The name of the piece comes from an auto-racing track in Italy which Stella visited in the late 70s. 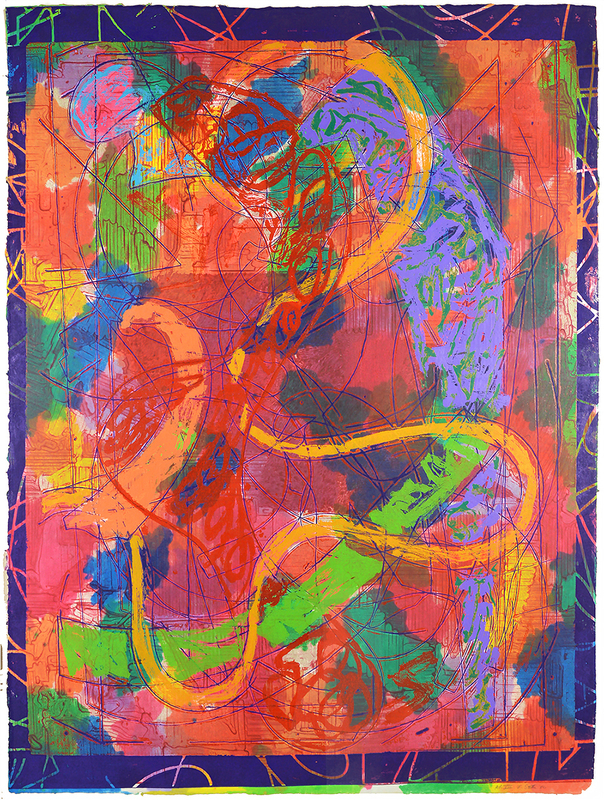 The serpentine lines weaving through the colorful work are evocative of the curves of the tracks he saw and endow the piece with a lively energy. 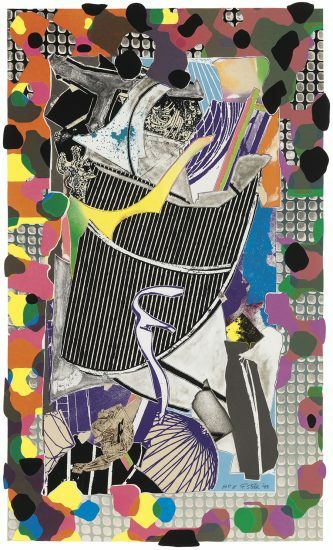 The shapes were created by various mechanical drawing templates and tools; the organic swelling orange track that runs through the work was derived from the Flexicurve, a flexible tool used by drafters and artists to create smooth curves. 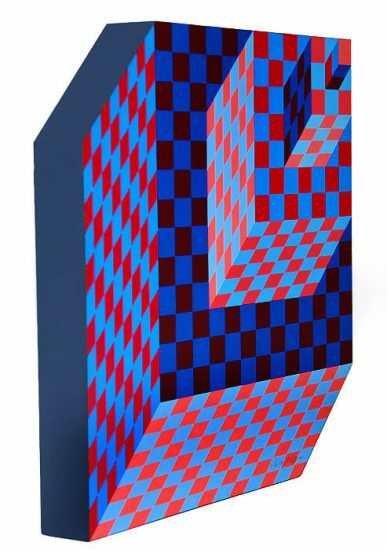 The Flexicurve shape may be the first to draw the viewer’s eye into the visually abundant piece, but it’s the myriad of intersecting and layering lines, forms, and color spots that make it impossible to look away. 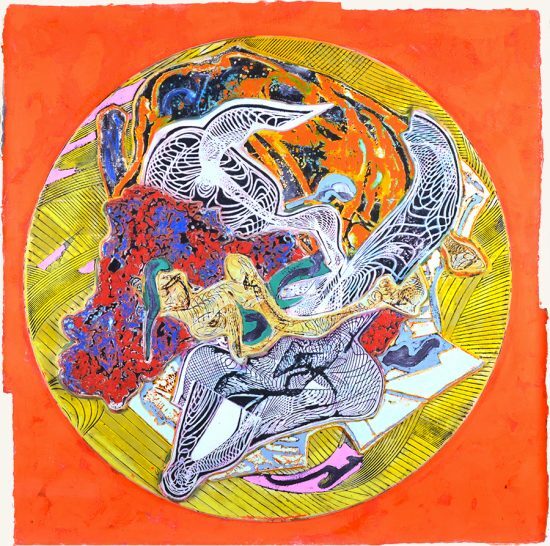 The abstract world created by Stella seems to be shimmering and morphing, full of dynamisms and remarkable depth. 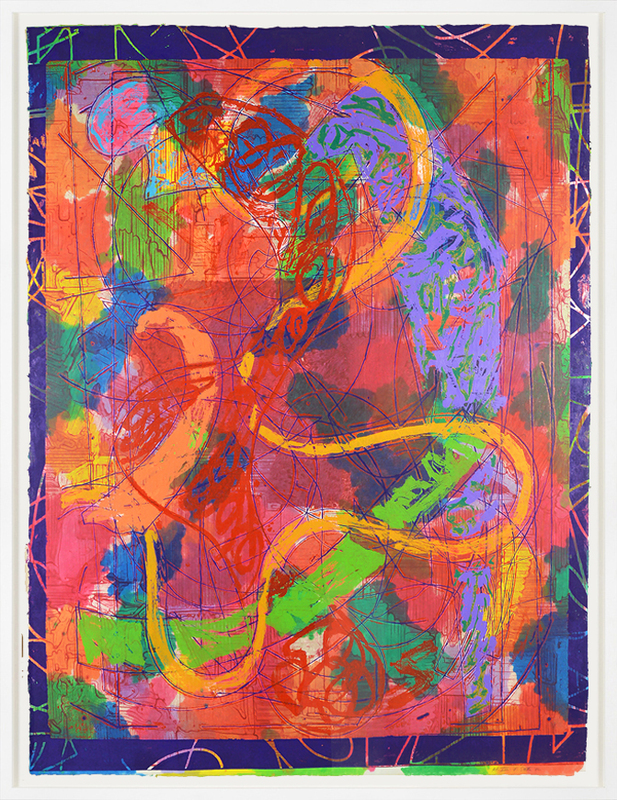 A visual feast that boasts impressive technique, this large-scale work is certainly a standout in Stella’s large body of prints. 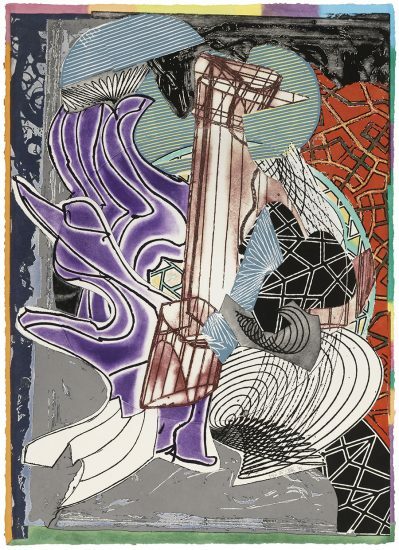 Created in 1982, this relief and engraving on white TGL handmade, hand-colored paper is hand signed and dated by Frank Stella (Massachusetts,1936 - ) in pencil in the lower right and numbered from the edition of 30 in pencil in the lower right. 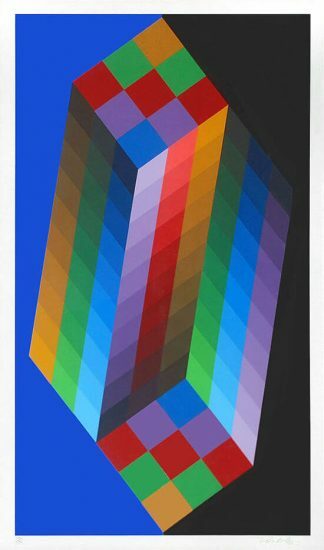 Frank Stella Frank Stella Estoril Five II (from the Circuits series,) 1982 is fully documented and referenced in the below catalogue raisonnès and texts (copies will be enclosed as added documentation with the invoices that will accompany the sale of the work).